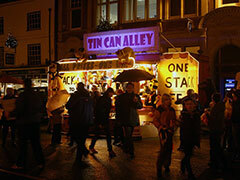 Tin Can Alley outside the front of Barclays Bank during 2009's annual Christmas shopping event in Henley. 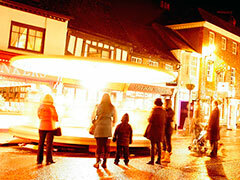 A fairground ride hits "warp speed" during Henley's annual late night Christmas shopping event in December 2009. 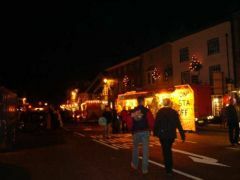 Fairground rides and seasonal stalls take over the street during Henley's Christmas 2009 late night shopping event. This mysterious photo was taken in The Catherine Wheel on Hart Street. If you know who this women is please contact us. 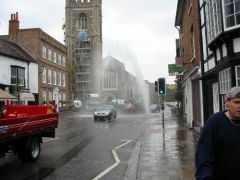 This view of the burst water main looking towards Saint Mary's Church shows the full height that the water reached. 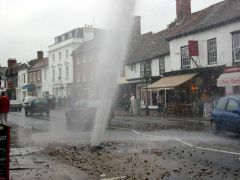 A close-up showing the strength of the water as it tears though the Hart Street road surface. 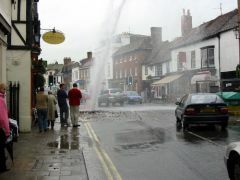 A view looking up Hart Street towards Market Place of the major burst water main that affected Henley-on-Thames in October 2004. 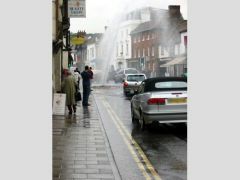 A burst water main erupts out of Hart Street causing disruption to Henley-on-Thames town centre traffic. 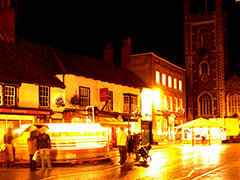 The many stalls that fill the streets during Henley's annual Christmas late night shopping event. 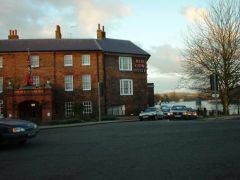 The Red Lion Hotel situated in front of The River Thames alongside Saint Mary's Church. 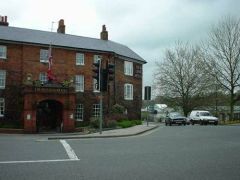 The imposing Red Lion Hotel situated on the junction joining New Street, Henley Bridge, Thameside and Hart Street. 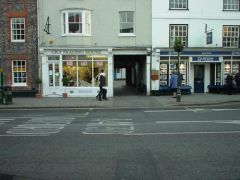 This picture shows Gigi Trading House and Hamptons estate agent which are both situated on Hart Street. 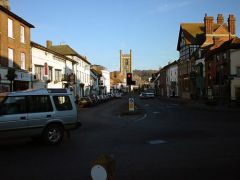 Another view of Hart Street, this time directly facing Saint Mary's Church. 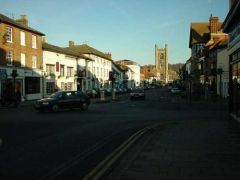 This picture features some moving traffic emphasising the lively nature of Henley town centre. 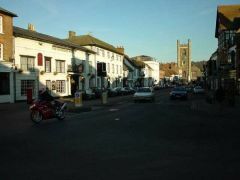 The junction in Henley town centre that joins Hart Street with Duke Street, Bell Street and Market Place.